VPLS Solutions’ team of technology experts can help you with your most complex IT challenges. Our Professional Services practice leverages proven project management methodologies to deliver IT solutions that fit your needs and turn your technology infrastructure into a major competitive advantage. Our team holds 78 Cisco certifications, 29 Brocade certifications, 95 VMware certifications, 5 Palo Alto Networks certification, as well as certifications from Aruba, Aerohive, Fortinet and more. Switching and routing implementation, configuration and troubleshooting. Data center design and implementation. Server implementation of solutions from Supermicro, Cisco UCS, Dell, HP and more. Implementation and configuration of Nimble Storage SAN solutions. Application Delivery implementation, configuration and support. Cisco CallManager implementation, support, virtualization and design. Cloud and virtualization consulting, implementation and support. Design and configuration of back up and recovery solutions. Configuration and deployment of VMware Virtual Desktop solutions. Design, configuration and migration of security solutions from Palo Alto Networks, Fortinet, Juniper and Cisco. Implementation of wireless solutions from Aerohive, Aruba and Motorola / Brocade. Help Desk and network monitoring services. 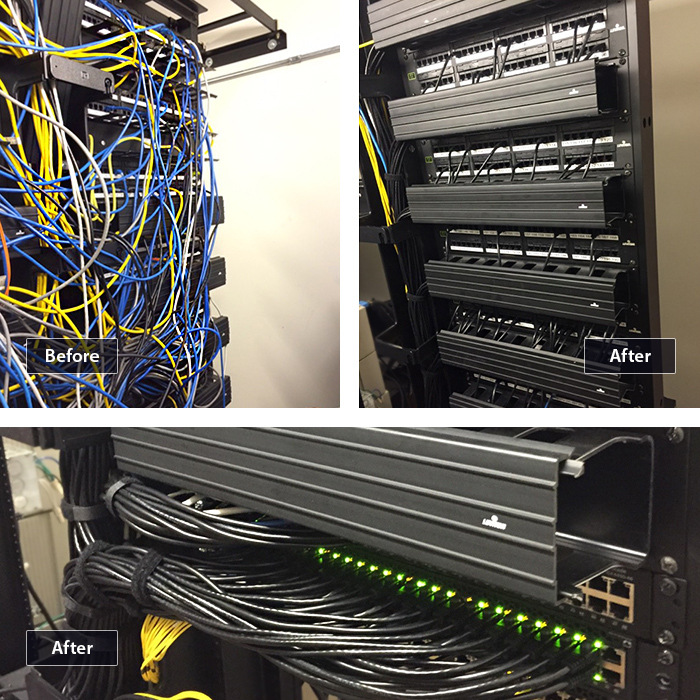 VPLS Solutions was contracted to install and configure next generation Brocade Ethernet Fabric technology at a large private university across all their campus locations and IDF closets. 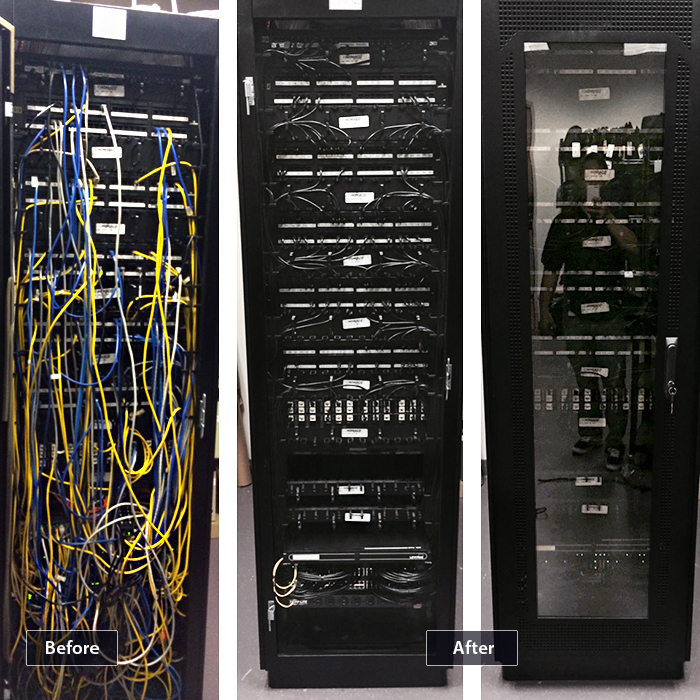 Below is an example of what the IDF closets looked like before our engineers went to work. 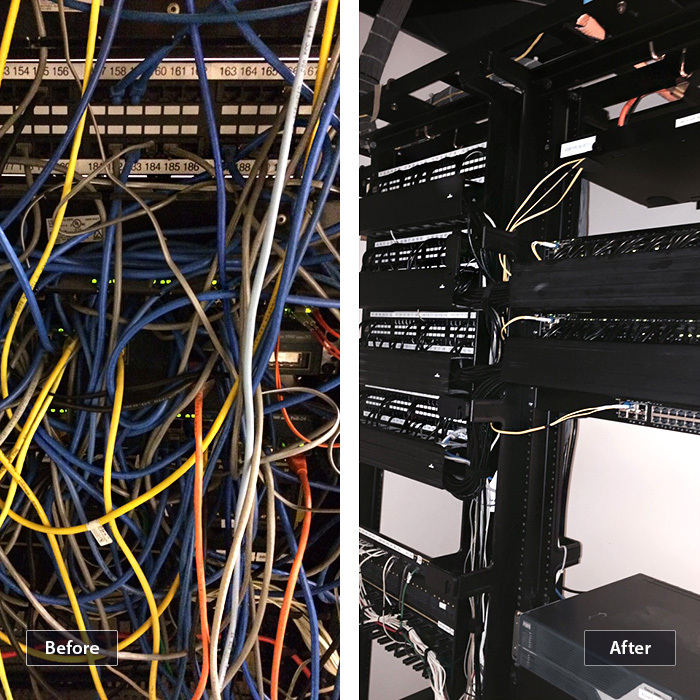 Our dedicated engineers not only installed and configured the network equipment but took the time to revamp the entire rack, running new patch cables and utilizing cable management.